This blanket is amazingly beautiful! It turned out even better than I pictured it would. I designed it for my niece (but didn't know she was a girl at the time). 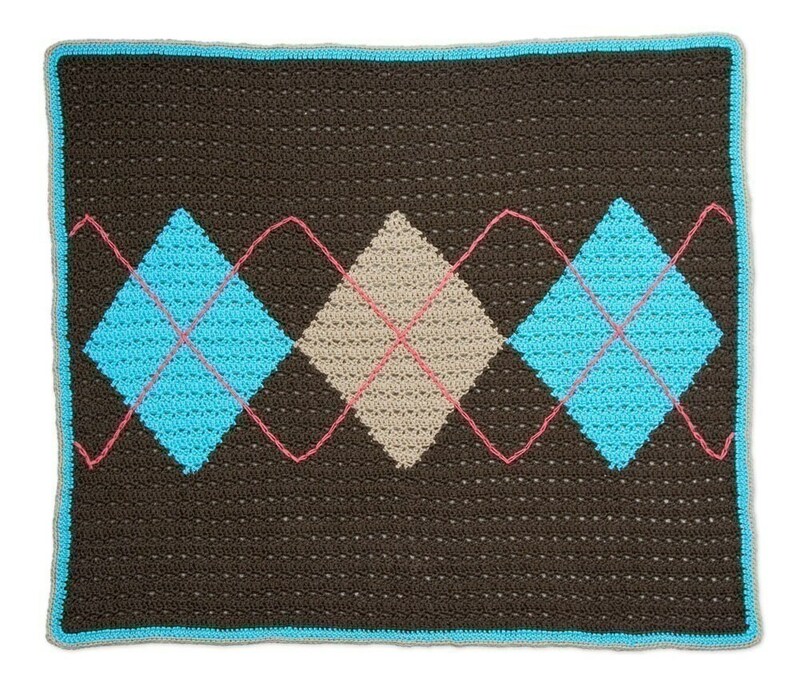 This was my attempt at a gender-neutral blanket that wasn't boring, yellow, or white. I think I succeeded! This pattern uses intarsia and requires some basic embroidery knowledge (but I had no idea what I was doing when I started the embroidery, and I figured it out quickly). This is an intermediate level pattern.